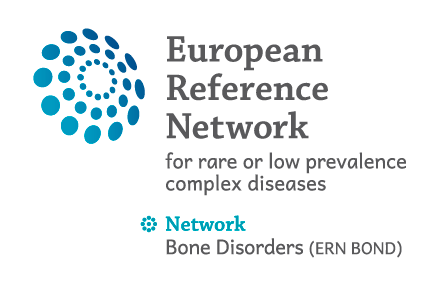 To promote good quality and safe care to patients suffering from Rare Diseases (RD), To empower and involve patients in order to improve the safety and good quality of the care, To involve patients to define new more inclusive clinical pathways and clinical trials, To encourage and facilitate the development of training and continuous education programmes, To exchange and disseminate knowledge and best practices, To set up communication tools, and methodologies to develop clinical guidelines and protocols. During Year 1, WG9 VISIBILITY TOWARDS PATIENTS AND HCPs coordinated the creation and the dissemination of the results of the ERN BOND White Paper on Diagnosis. The survey provided a picture on the current situation in the 10 Member States in regard to diagnosis and to identify the main challenges and potential solutions that could help reduce diagnosis delays. The evidence emerged from the survey (lack of awareness of OI, lack of information on rare bone diseases among family doctors, paediatricians, nurses and emergency care practitioners, scarce continuity in care services from child/adolescent to adult) drives WG9 to raise awareness, to facilitate care transition and to further assess patients’ conditions in terms of quality of life. Satisfaction and Quality of Life (QoL) assessment tools will be developed. The tools will be disseminated among HCPs for validation and initial utilization. The Transition Plan and the QoL assessment will be disseminated among stakeholders (patients, the public and healthcare professionals) through different communication channels (BOND website, Newsletters, social media, training courses delivered by WG8, EC dissemination channels). These activities will aim at creating direct relation/communication line with the OI specialist, link with the local patient groups, engagement in the digital communities.